Implementing cyber security solutions can do wonders for your business! It is crucial to understand how you can protect your business information online. In fact, protecting your company’s online privacy becomes increasingly important these days with less and less oversight from governmental entities. The power to create security online is all in our hands. Therefore, it becomes critical that you become aware of how to protect your business’s privacy instead. It really is easier than you think to protect your corporate information on the internet. In fact, simply by changing the mediums that you use to communicate online, you can immediately create a more safe environment for your confidential business data that is secure and protected. Therefore, make sure to become informed about the various ways you can protect your company’s information on the internet by reading privacy policies before you share any corporate data with third parties online. At the core, privacy starts with the business owner. If you are able to take proactive measures to secure your company’s privacy then there is likely nothing you need to worry about regarding your businesses data being obtained. However, without proactive measures to secure your company’s privacy, all your company’s information is out there for many to access. Therefore, having proper protocols and procedures in place to protect your company’s privacy is of the utmost importance. 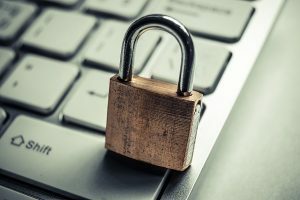 Employing different forms of messaging that are not typically used by Adtech can allow for more security that protects your business’s privacy on the internet. These days it is becoming more and more of a necessity to protect our businesses online. With hacking becoming more and more frequent, securing your company data and information while ensuring that a hack doesn’t occur to your business is of critical importance. As the rise in cyber crime increases, protecting your corporate information becomes a vital component of online safety. This entry was posted on Tuesday, April 18th, 2017 at 2:05 pm. Both comments and pings are currently closed.